In layman’s terms, an ambigram is a design that may be read as the same word or phrase when oriented in two different ways. 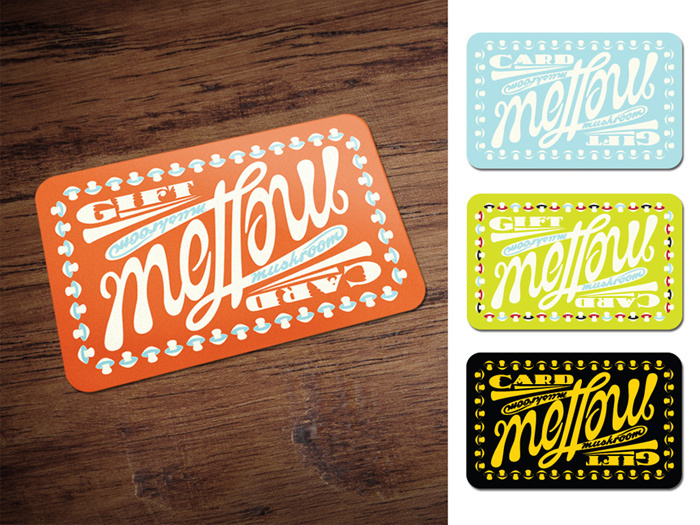 I had no idea what that word meant either, until one day, while sketching stuff for Mellow Mushroom Pizza, I realized that I could draw the word mellow to read both right-side-up and up-side-down. I kept that idea in my pocket until I was called upon to create a custom gift card.